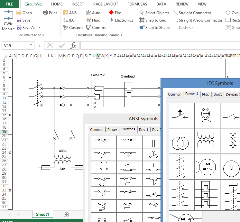 CircuitWiz is an easy to use app that was developed as an aid for Tradies to draw diagrams without the need to learn or purchase expensive CAD programs. It is ideal for adding documentation to small projects. 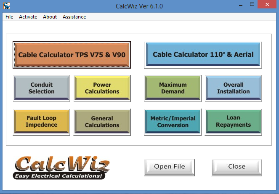 CalcWiz is a handy tool for Aussie Electricians. Based on the new 2017 standards. It comes in 2 versions. CalcWiz for Windows. This popular desk top application contains heaps of calculators to aid in making the correct decisions.